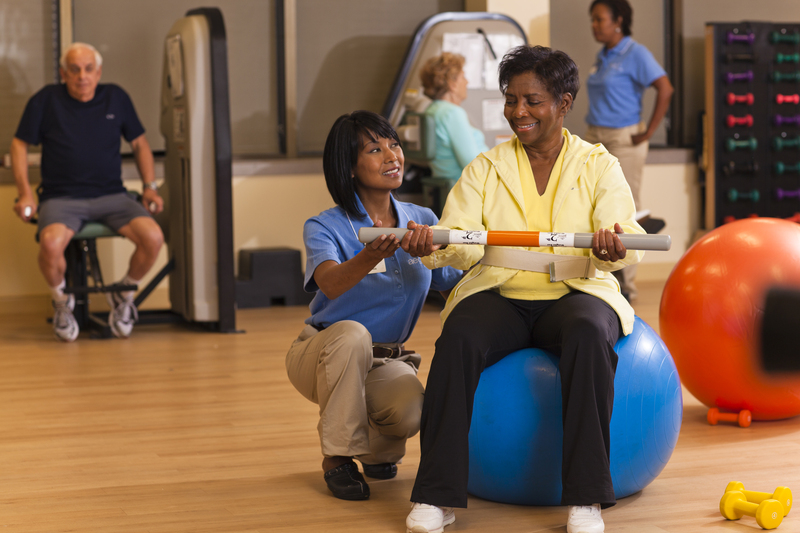 At Community Care, we understand that sometimes even the most active individuals need help to regain or maintain an optimal level of independence following a hospital stay, injury or illness. 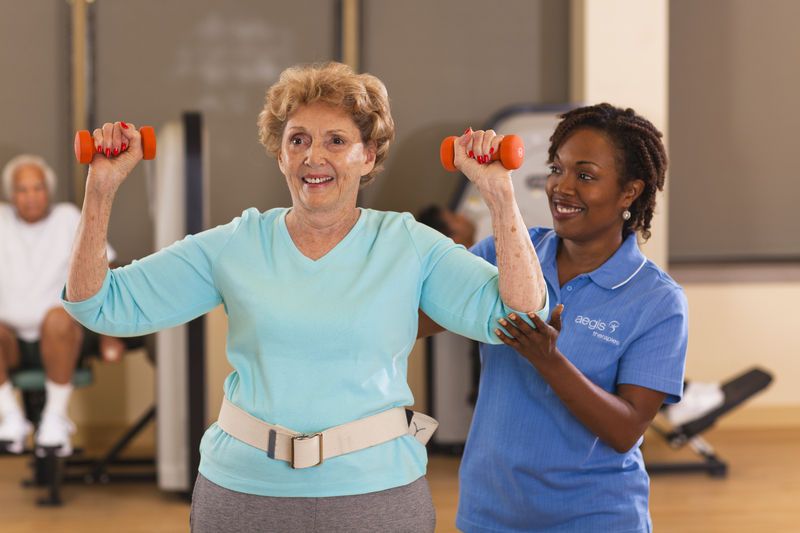 With our rehabilitation therapy program, powered by Aegis Therapies®, we provide a comprehensive, collaborative approach designed to help you be at your best. Our team of physical, occupational and speech therapists tailor our therapy services specific to each individual’s needs and can help treat a variety of conditions, including complex clinical diagnoses. Freedom Through Functionality (FTF) by Aegis is a unique strength-building program using specially modified equipment with exercise programs developed by experts in geriatric rehabilitation. 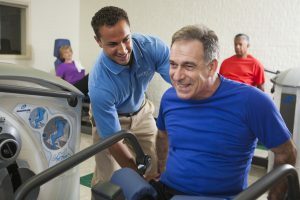 Based on clinical evidence, FTF is designed to benefit patient outcomes and improve quality of life, with benefits ranging from better mobility, balance and flexibility to decreased falls and increased independence. Geriatric Enhanced Modalities (GEM) by Aegis provides therapy protocols designed specifically for health conditions common to seniors, with clinicians specially trained to administer and manage the therapy. GEM utilizes specialty therapy machines, including ultrasound, diathermy and comfortable electrical stimulation, to address issues such as falls, pressure ulcers, incontinence, contractures, pain, residual problems following stroke, weakness and swelling.